Check out this essay by Emma Cocker in the new book Emerging Landscapes. 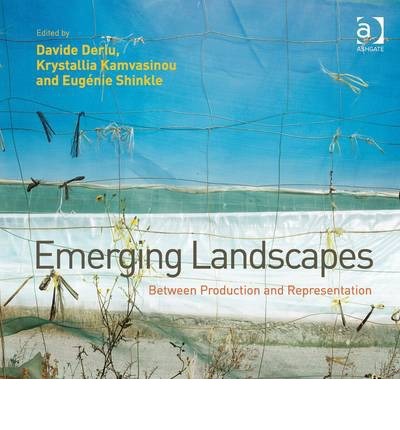 Emerging Landscapes brings together scholars and practitioners working in a wide range of disciplines within the fields of the built environment and visual arts to explore landscape as an idea, an image, and a material practice in an increasingly globalized world.Drawing on the synergies between the fields of architecture and photography, this collection takes a multidisciplinary approach, combining practice-based research with scholarly essays. It explores and critically reassesses the interface between representation - the imaginary and symbolic shaping of the human environment - and production - the physical and material changes wrought on the land. At a time of environmental crisis and the 'end of nature, 'shifting geopolitical boundaries and economic downturn, Emerging Landscapes reflects on the state of landscape and its future, mapping those practices that creatively address the boundaries between possibility, opportunity and action in imagining and shaping landscape.